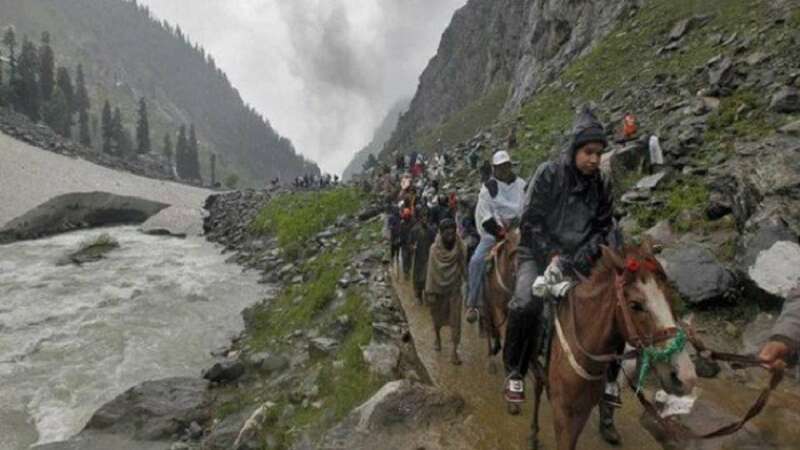 Jammu : The Jammu and Kashmir government on Tuesday closed all educational institutions and suspended internet facility here to maintain law and order in the aftermath of the Amarnath terror attack. A senior police officer told IANS: "All educational institutions in Jammu district shall remain shut today (Tuesday) as a precautionary measure." "Internet services have also been suspended in the district till further orders," the police officer said. Speaking to IANS here, NC Provincial President Devender Rana said: "Nothing more unfortunate could have happened. It is a terror attack carried out by those who believe in no religion or humanity." "The purpose of the attack is to whip up communal passions and that is what all of us have to guard against. We are deeply shocked by the attack and demand that those responsible be brought to justice." "It must also be probed as to how the unguarded bus of 'yatris' was allowed to move on the highway that is heavily patrolled and protected," Rana said.